Quita is responsible for coordinating new technology adoptions across all stages, from planning to implementation, and ensures smooth operation of technology for all users. 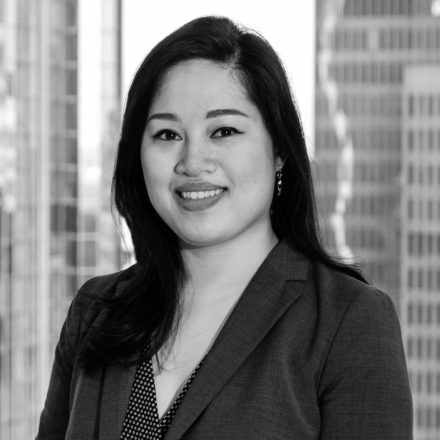 Prior to joining MONTAG in 2019, Quita began her career at SunTrust Banks, Inc. as a Portfolio Specialist then continued on to become a centralized trader, where she maintained and traded centralized investment models in various trading systems. Most recently, Quita was as a Senior Consultant with Aon’s Delegated Services operations team. There, she led a team responsible for the onboarding and daily monitoring of company pension and 401(k) plans. Quita and her husband, Hubert, live in East Cobb county with their young son. Together, they enjoy cooking and exploring Atlanta’s food and arts scene. In her spare time, Quita enjoys crafting and painting. During football season you can find her cheering on her home team, the Carolina Panthers.